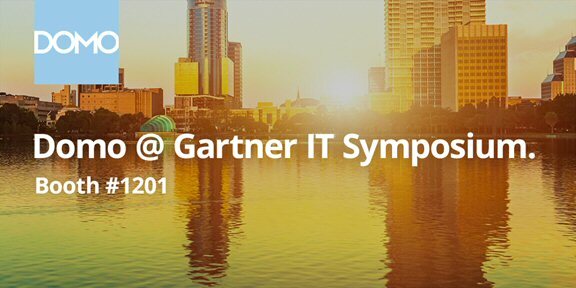 SILICON SLOPES, UT--(Marketwired - October 06, 2015) - This week, Domo is at the Gartner Symposium ITxpo 2015, one of the world's most prestigious gatherings of IT leaders. Domo is demonstrating how it enables IT leaders to more effectively manage operations through Domo's cloud-based business management platform. Domo also is demonstrating how it helps IT leaders meet the growing demand for real-time data access and reporting from business users across the enterprise, while minimizing the impact on already-strained IT departments. Domo's maniacal focus on the user experience makes it easy for non-technical people to access and interact with their business data, without calling on IT for the time-consuming, repetitive tasks of report creation and dissemination. Domo -- through tools such as self-service connectors, Magic ETL and QuickStarts -- further reduces the burden on IT, allowing IT to spend more time on strategic business initiatives, rather than repetitive, time-consuming tasks associated with getting data into the hands of business users.